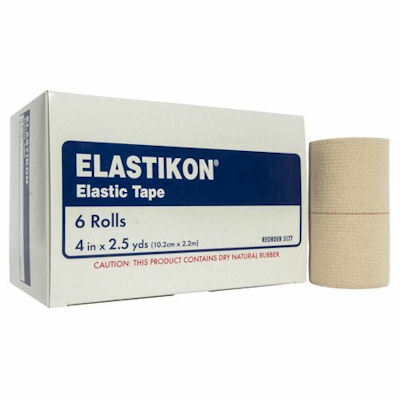 Elastikon (Johnson & Johnson), Sold by the Box of 6 Rolls. Each roll is 4 inches wide by 2.5 yards long. Also Available in 3 inch width.